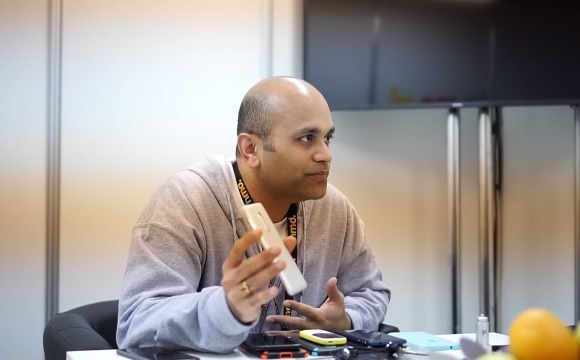 Indian 91mobiles had an opportunity to speak with Pranav Shroff, Director, Global Portfolio and Product Management in HMD Global, or Finnish company that provided a new home for Nokia phones. He had a long history working for Nokia, and now he is one of the few people in charge of bringing the Nokia back to the market. He spoke a bit about all the Nokia devices that got released at MWC2917 which happened at the end of February in Barcelona. He mentioned that phones were designed by HMD’s design team (all previously worked for the Nokia design team), and that they were really interested in preserving the famous Nokia manufacturing quality of the phones. Another big plus of new Nokia phones is clean Android, which will have regular monthly security patches and among the first get latest versions of the Android system. To summarize the video, he said that for low price point you will get a premium design, build quality and clean software on a smartphone. Also, he talked about the return of the famous Nokia 3310 which is a combination of old and new design and build. Definitely check out the video which is a sort of announcement of the eminent arrival to the market.